We take pride in offering our clients a wide array of Mild Steel Fabrication. We have mastered in this field with vast experience and utmost knowledge. Advanced technologies and techniques are implied in the working process to ensure maximum satisfaction of the clients. 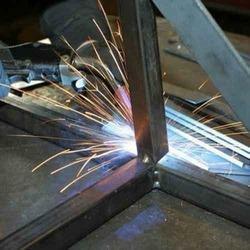 Mild Steel Fabrication is well detailed and guided under professionals. We have mastered the art of providing the clients with Tank Fabrication. Our employees are dedicated to serve the clients in best way possible using advanced techniques in fabrication work. Premium quality raw material is used for this purpose. 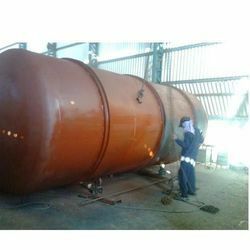 Tank Fabrication is precision engineered and regulated as per international industry standards. Our company assure our valuable customers that the quality of our products run as deep as the establishment of our companies. We provide the good and vast range of quality products with industrial norms and standards, service guarantee with customer satisfaction. We are using the latest technologies in design and manufacturing steel gate, grill and trolley. We understand our client’s requirement so our structures are designed according to the customer’s needs with a specific time frame. Further, our products are offered at affordable prices according to the customer needs.